I am from library books, Dial soap, and hand-me-down Toughskin jeans. I am from the yellow house with brown trim and Astroturf on the front porch. 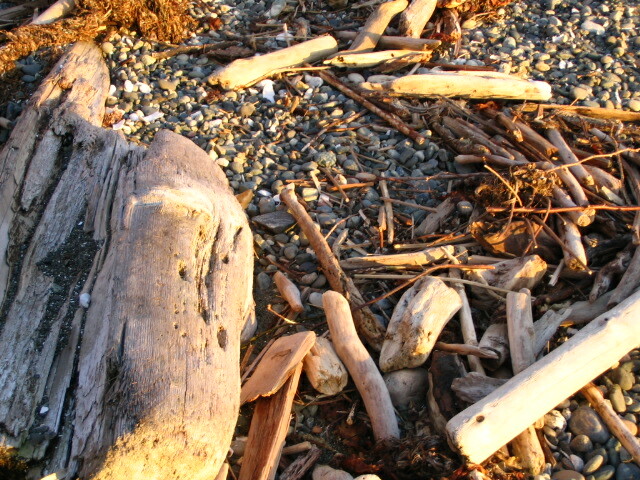 I am from rocks & driftwood, blackberries, dandelions and rhododendrons. I am from annual summer camping trips and blue-green eyes, from Ellen and Jim and a David in every generation. I am from loud voices yelling and growing up tall. I am from a long line of Presbyterian ministers, the Green Mountain Boys and Elder William Brewster who gave the prayer at the first Thanksgiving. I am from the Northwoods of Wisconsin, from German immigrants in Pittsburgh and an Ohio steel mill chemist, from skim milk bought in glass bottles at Walt’s Dairy and casseroles to stretch a pound of ground beef. I am from barefoot summers and the cool rains of the Pacific Northwest, from Disneyland, Yosemite, the Canadian Rockies, family slideshows and boxes in the basement. And I am from misty, foggy mornings and the pungent smell of the pulp mill. Hi Karen! I’m Briget when I comment at Derfwad Manor. I love your I Am From poem and couldn’t resist sending you mine – hope you find this and let me know! in the back pocket of my hippie jeans.